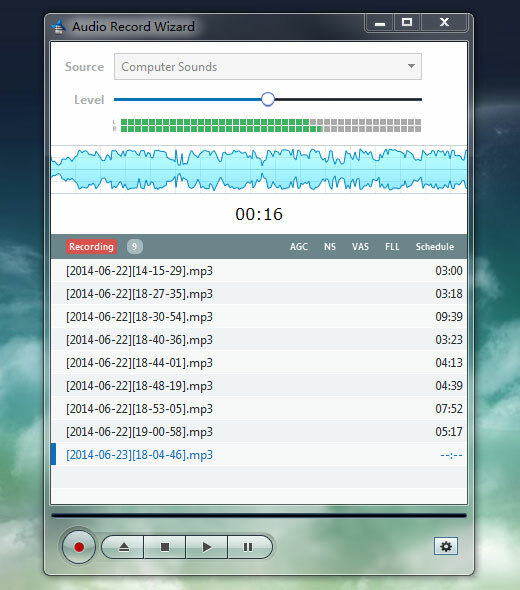 Audio Record Wizard is light, fast and easy to use. Just two steps, you can start recording. Audio Record Wizard 7 is optimized for Windows 7, Windows 8, Windows 10. This version brings you better quality and better performance. YouTube, Pandora, Rhapsody... does not matter, Audio Record Wizard can record any audio playing on the computer at near-perfect quality. 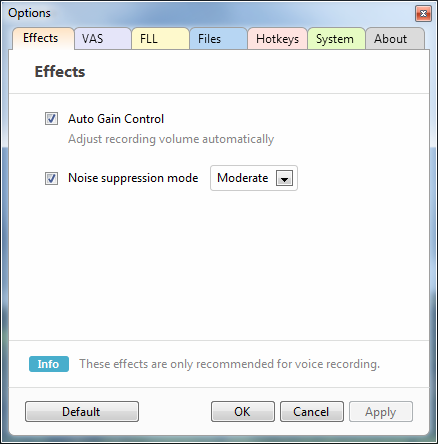 Audio Record Wizard provides some very useful features for voice recording, such as Noise Suppression, Auto Gain Control. 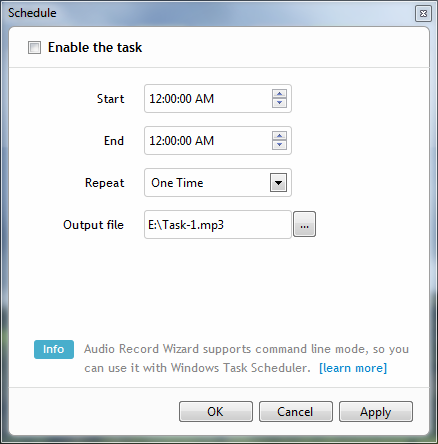 On Windows 7, 8 , 10 and later version, Audio Record Wizard provides a new feature to record computer sounds and voice at the same time. In other words, it can record both sides of a conversation on Skype, Google Talk. MP3 is the most popular audio format in the world, so you will be able to enjoy the recordings on almost all popular media devices. Also, Audio Record Wizard supports WAV, OGG, FLAC as well. Download Free Trial Buy Now $24.95If you have any question, feel free to contact us.